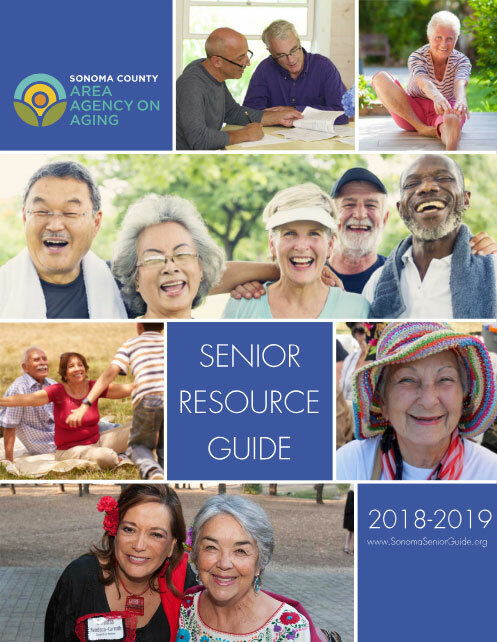 The AAA maintains the online and printed Senior Resource Guide to enhance public access to information about human service resources available to Sonoma County residents. The inclusion of any organization, agency or service in the SRG does not imply or constitute an endorsement or recommendation, nor does exclusion imply disapproval. The AAA neither guarantees nor makes any representations as to the accuracy or completeness of the information contained in its Resource Guide. The County of Sonoma does not claim responsibility for any actions taken by any of the organizations or agencies included in the Senior Resource Guide. Under no circumstances shall the County of Sonoma or its employees be liable for any direct, indirect, incidental, special, punitive or consequential damages which may result in any way from the use of the information included in the printed or online Resource Guide.